UPDATE- Almost at two years of ownership. The 997 goes in for a service in a couple of weeks and currently has 10600 miles on the clock. I'm enjoying the car immensely and it has been 100% reliable. The Aerokit means i have to be careful over London speed humps but that is a small price to pay for a car that excites me so much every time i drive it. I absolutely love the PDK box (my first one). I use sport whenever i am enjoying driving rather than just cruising. I don't use sport plus as i find it too mental. I haven't used the launch control as its not my thing (too mechanically sympathetic) and judging from the over-rev read out i got with the car neither did the first owner. I find the car incredibly engaging whether driving country roads, A roads or motorways. It is extremely quick and literally takes my breath away (and i ride a ZZR1400 so massive acceleration isn't new to me). The level of grip the car provides is nothing short of astounding and it is confidence inspiring even on the M25 at 4 o'clock in the morning in a thunder storm (i work nights a few weeks a year so encounter these conditions). I haven't missed a manual gearbox, i'm really enjoying driving the pdk on the paddles and quite honestly i am not sure i could drive as confidently on boost if i was having to change gear manually too, the speed at which the car eats up the road is quite brutal and its nice to be able to keep both hands on the steering wheel. I have looked at the 991 but i don't feel i want to move into a bigger 911, and the 997 Turbo S is quite fast enough for me. 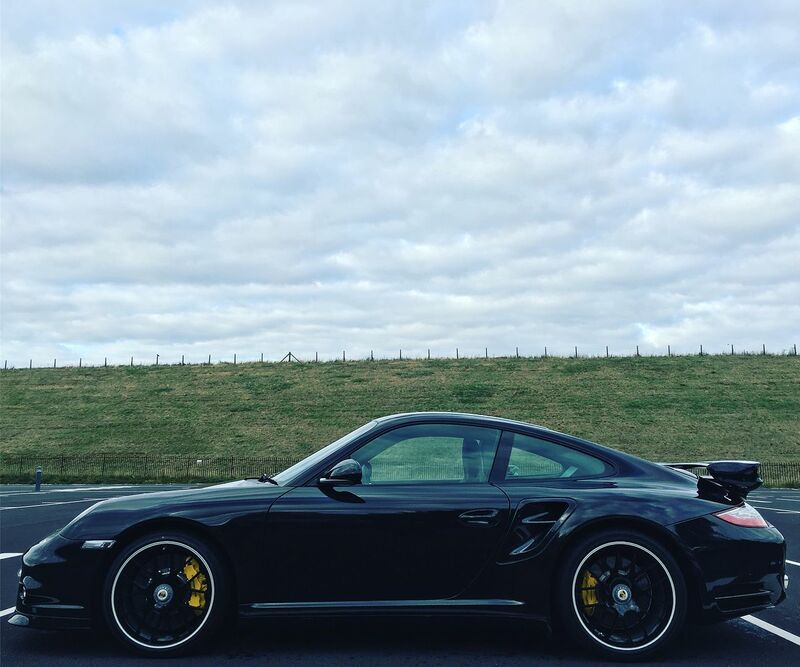 It is certainly a huge step forward from a 997.1 Turbo Tip in performance terms, so much so words and power figures don't really do the subject justice. Your car looks stunning and having done the same upgrade as you, a Gen1 to a Gen2 you are spot on with your findings. So many Turbo owners come on here and ask about the difference between a Tip and a PDK. All I can say is just go and drive one the difference is night and day. I've just done a regular run today, about a 100 miles, in my Gen 2 PDK and comparing it to the Gen 1 the difference makes the run so much easier, the ride quality, especially on uneven surfaces. The gearbox in sport mode just seems to know which gear you want both going into corners and coming out. I've got to admit I never bonded with the tip box but the PDK is perfect. P.S. get the front end PPF'd, it's a grand well spent. Looks cracking, great to see you are enjoying putting some miles on in. I couldn't agree more about the PDK. I normally seek out manuals and was looking for a Gen2 Turbo with one for over 12 months, before buying myself an S as a consolation prize......absolutely no regrets, using the paddles when pushing on is a treat and keeping two hands on the wheel really does deliver a higher level of control. I still have two other manuals in my life to get my fix and I wouldn't switch mine for a manual now. Is it going back to Bristol for it's service? If so they will be getting two 2012 Black Aerokit Ss in for services this month. Mine is in for it's 6 yr service (slightly early) towards the end of the month. Make sure that they replace the PDK clutch oil as well as the AWD fluid, which require replacing every 6 years. An additional £450 or so. Lovely looking car mate, I'm fairly certain I parked up next to it at Longcross a month or so ago, ( mine is its virtual twin but in Meteor ). I share your feelings on Bristol OPC and Sam in particular also. I purchased a nice gen 1 turbo from him a couple of years back and he was excellent, did everything he said and kept in regular contact after the sale. 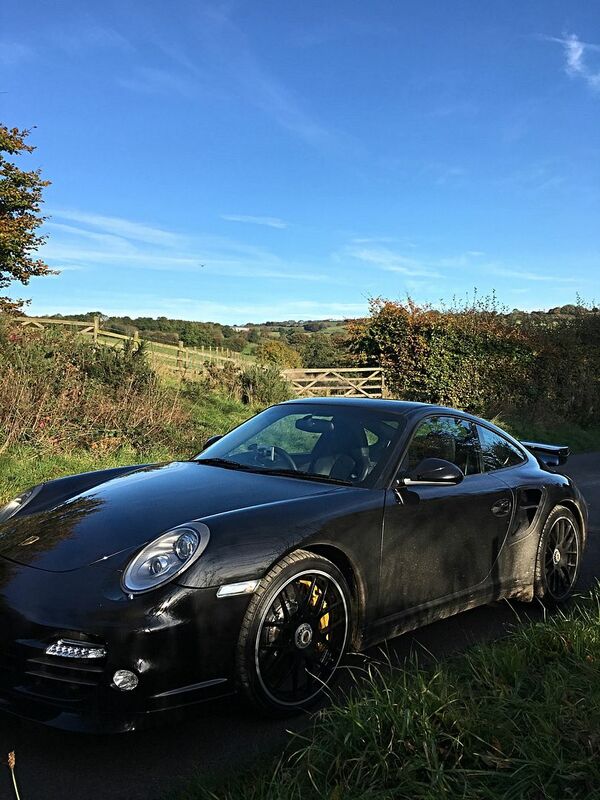 Funnily enough he phoned up and offered me a green Turbo S not long before he left Bristol. Hopefully that covers it.......not going to be a cheap one! I'd certainly second the PPF but by now I would imagine it already has some chips. I had it done to mine (after new paint) and it's well worth it. It even makes cleaning easier, dead flies come off so easily now; worth it just for that. Yes it certainly was my car you parked your lovely 997 Turbo S next to at Longcross. Charlie showed me a picture of the two together! What a coincidence! Thanks for everyone elses comments, they are really appreciated. Regarding the PPF- i am incredibly fortunate the original owner PPF'd the whole car at new before collection at Porsche Reading. My car is looked after by Toapz on their wash scheme, it gets a wash once per month by them as i just don't have time to do it regularly and when it was detailed before the first wash they remarked that their own PPF film has advanced a long way since 2012, so i am considering having the whole car re-filmed by them next year. It has made a lot of difference to the way the car is holding up visually having the whole car PPF'd and Topaz keeing on top of the washing. I am taking the car back to Bristol from London for its service. I trust them and they treat very well. I am sorry Sam the salesman has moved on but i've been down for a service since he left and it is still a really great OPC- reasonably priced and very thorough. All the drama - manual, Mezger and cheaper !! on my list for the big 2018 service. Topaz use Suntek & Xpel film for PPF. They are excellent however they take the piss with their pricing for PPF. Amazing find at under 800 miles when you picked it up! Never seen one with that low miles for sale I have to say. Hmmmmm, bit like the Minogue sisters I'm afraid, yours is Dani, the TTS is Kylie. Kylie is just better at everything! Phil - your humour is wasted here - you should be back over on the Brexit thread! There's a good thread on P/H's about the PPF film. The author tried all the types of film on the market and came to the conclusion that, in his opinion, the Xpel was the easiest to apply, had little or no flaws in the film and the most resistant to damage, it self heals. I priced up the supply only of a kit to do the front of my 997 and it was over a $1000! It seems there is a bit of a closed shop in the UK for buying the film and the kits. I know there seems to be a 'black art' to applying the stuff but some of the pricing is eye watering!